After having worked as a planner in Belgium for about three years and London for about 4 years, I moved to Tokyo to join Wieden+Kennedy last summer. It meant learning everything fresh. How to think, how to talk, how to do research, how to write creative briefs, … To be a planner in an entirely alien culture can be daunting, but it’s the kind of thing a curious mind thrives on. For this day in the life, I chose to describe one of my early days in Tokyo, because it reflects the sense of newness that is so unique to first moving here. 7am: I wake up, nice and diligently (I think this happened. Once. Surely on this day. ), because it’s a Monday, and that means I’ve got my Japanese class at noon. It also means that I’ve got homework to finish. I finish my homework at a coffee place nearby where I live. 9.30am: Arriving at work and proud to now master the phrase ‘ga suki desu’ (‘I like’). I feel like this phrase will be a useful conversation maker. Mondays start with status meetings. The Nike team (we’re about 6 people) gets together to chat about the workload for the week. It’s an interesting week because we’ve got a few creative projects going on, as well as consumer research. 10.30am: We gather in the studio area for a creative check-in. This is the first time I’m seeing the ideas that the creative team came up with based on my brief. All ideas have been stuck up on a wall and we go through the five different directions one by one. There’s a whole lot of great stuff there but I specifically love one of the directions because it takes a very traditional Japanese concept and turns it completely on its head. We discuss the different ideas and decide on two directions to focus on and develop further, in preparation of a client presentation the week after. 12.30am: Time for Japanese class, followed by lunch. 3.30pm: We leave for consumer research. It’s actually taking place at a karaoke parlour, because it’s a nice and convenient public place to gather a group of people in the middle of the day. We’re chatting with two young Japanese guys about their life, their ambitions, their hopes and their worries. And about sport, of course. They used to play baseball but quit that and started their own cycling team when they went into university. They say it’s a nicer way to stay active, without having to be competitive. They are both excited and content at the same time, and seem to have thought their decision through very carefully. I feel very fortunate to be able to do this research so early on after arriving in Japan because it’s the best possible introduction to this new culture and its youth. Even more, their experience of sport seems to offer a great perspective on what it’s like to be young in Japan. The group that is conducting this research is quite small: a moderator, a translator, two other planners and me. After the research, we go for a dinner together in an izakaya nearby and discuss what we have just learned, over chicken skewers, fresh sashimi and a few high ball’s. We also put together a couple of questions and hypotheses that we want to explore further in the other interviews later that week. 9pm: I arrive home after a long, but interesting day, energized by the fact that I got a little bit closer to understanding this fascinating culture. Mattijs is a senior strategic planner at Wieden+Kennedy Tokyo, where he looks after Nike Japan and Nike South-Korea. Before moving to Japan, Mattijs worked at adam&eveDDB London, Ogilvy London and Duval Guillaume in Belgium. 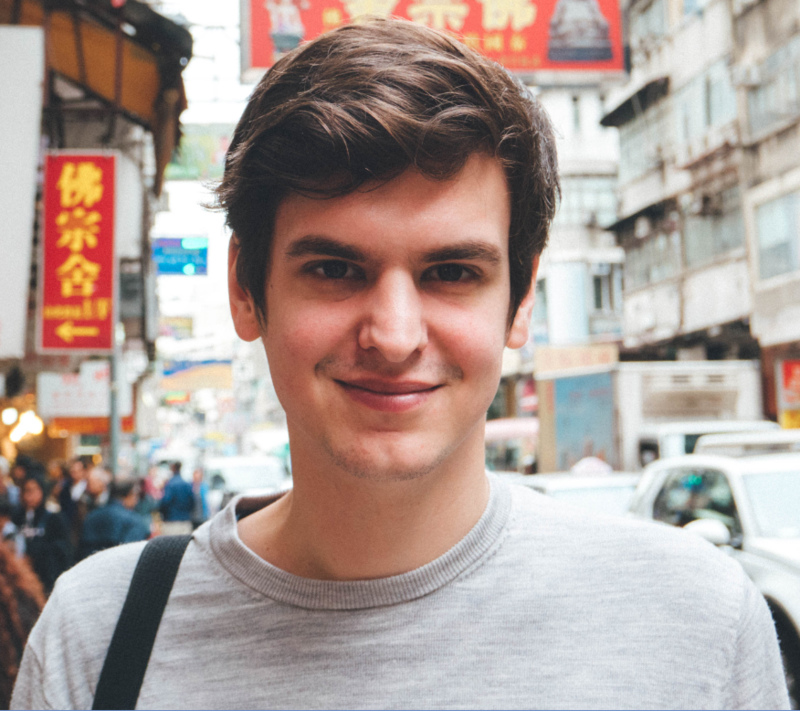 In 2014, Mattijs won a Gold EACA Euro EFFIE award for his work for Expedia.